We often get asked what there is to do around here. The answer is complex as there is A LOT to do depending on what your interests are. However so much of it depends on what week or weekend you’re staying at Summit Inn Bed and Breakfast. The good news is that there are several awesome things that happen every week during the summer months. 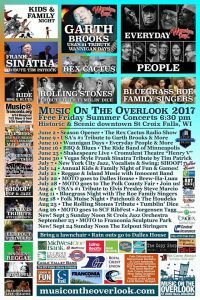 St. Croix Falls has our next weekly event on Friday nights at The Overlook. Its a deck built into the cliffs that has the mighty St.Croix River as it’s backdrop. The drive there on Highway 8 is just about as scenic as it winds around the bluffs. Rock formations on your left, a bird’s-eye view of the river valley to your left, it’s worth just driving there for that. 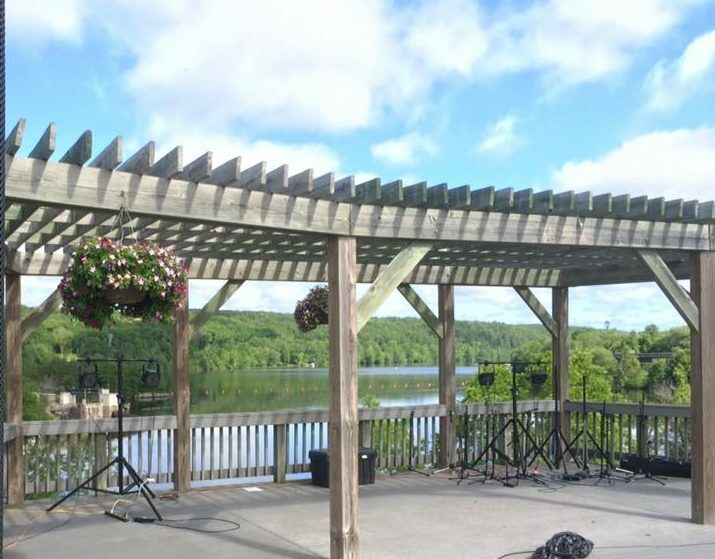 But if it’s Friday night, it’s worth heading into St. Croix Falls and catching a show. Here’s a link to their Facebook Page! Also note that if there is rain, you will still get to enjoy the show just indoors at The Dalles House. I’ve mentioned before our local farmer’s markets but it’s worth bringing them up again. What makes these markets so great is that they are more like a bazaar than just a farmers market. 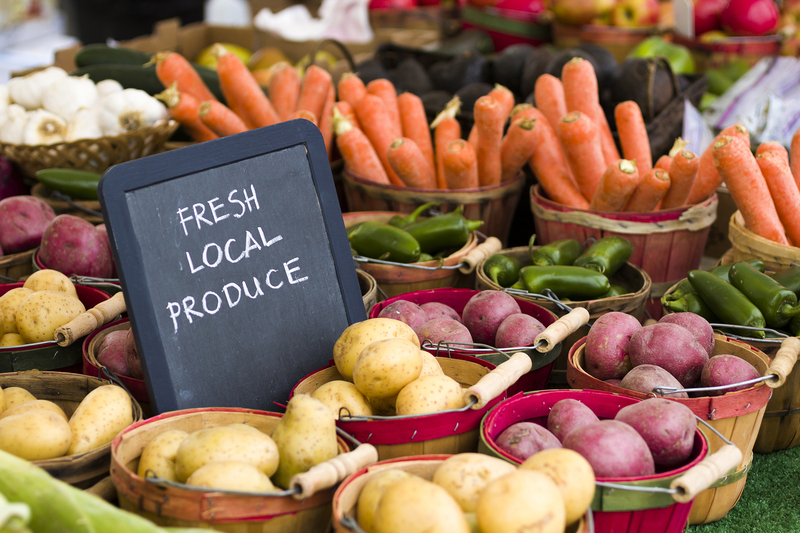 With things like fresh cut flowers, nursery plants, homemade jams and breads as well as items made by local crafters, these Farmers Markets are the place to go! 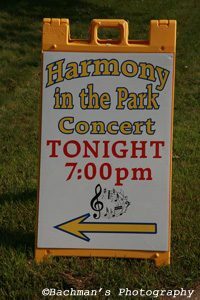 Lindstrom has theirs on Wednesday Evenings from 3pm-6pm and Saturday Mornings 8am-12pm at St. Bridgets Catholic Church Parking lot. Chisago City has theirs on Friday nights from 2pm-6:30pm at Moberg Park. 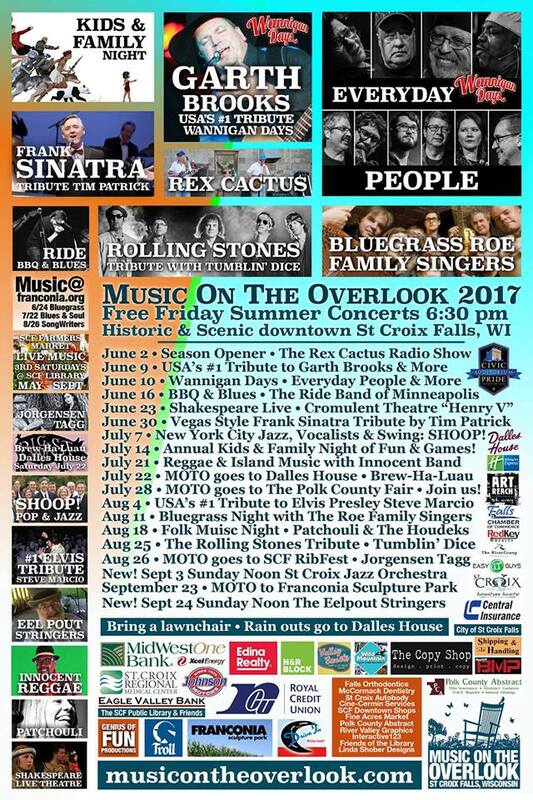 Check out their schedule as they also host local musicians and artists for more community fun! Can you believe these are just the weekly events?!?! Watch for upcoming blogs about the “usual” things to do based on interest. Can’t wait!